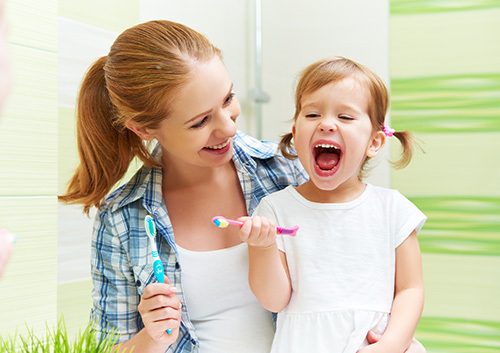 As long as you follow these simple guidelines and schedule regular dental checkups with Dr. Pamela Clark at our Pearland, TX office, you can help to ensure your baby has a healthy mouth. There is nothing more rewarding than seeing your happy baby’s healthy smile. Losing a baby tooth is often an exciting event in a child’s life. It’s a sign your child is growing up, and might even bring a surprise from the Tooth Fairy (or other generous party). But sometimes, a baby tooth is lost due to injury or accident. Don’t panic, but do call our Pearland, TX office as soon as possible. 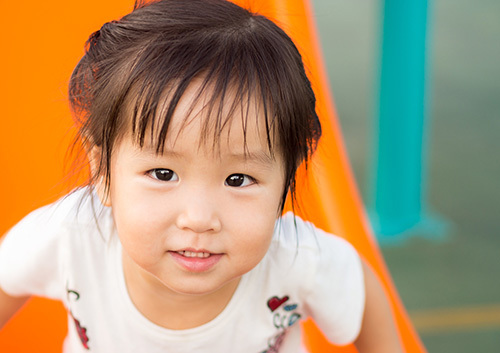 It is important to see your child quickly when a baby tooth is lost through injury. The underlying adult tooth might be affected as well, so it’s always best to come in for an examination of the injured area. The American Dental Association recommends that you find the lost tooth, keep it moist, and bring it with you to the office. Call Dr. Pamela Clark immediately, and we will let you know the best way to treat your child and deal with the lost tooth. You’ve planned your dream vacation. Your reservations are made. You’re packed and ready. You’ve even scheduled a dental checkup at our Pearland, TX office to make sure you catch any potential problems, have finished any major work, and have an up-to-date chart. But things don’t always go according to even the best of plans. So, what to do if you find you have a dental emergency while traveling? Dr. Pamela Clark and our team have some recommendations for problems that might arise. Toothache—Rinse your mouth with warm water and use dental floss to remove any food particles. Never put aspirin directly on a tooth or gum tissue. If the pain persists, call a dentist. Cracked or broken tooth—Immediately rinse with warm water to clean the area and apply cold compresses to the face to minimize swelling. Get in touch with a dentist. If you lose a tooth—Keep the tooth moist at all times. Put the tooth back in the socket without touching the root if possible. If that is not an option, place the tooth between the cheek and gums or in milk. See a dentist as soon as possible. Know where to get help if you need it! If you are traveling in the United States, the American Dental Association offers Find-a-Dentist, a website that can locate a member dentist closest to you. If you are traveling to another country, there are steps you can take to prepare for an emergency. If you are out of the country and need to locate a dentist, your local embassy or consulate, your hotel concierge, or friends abroad can be a useful resource. Before you go, check your insurance to see if you are covered while traveling. 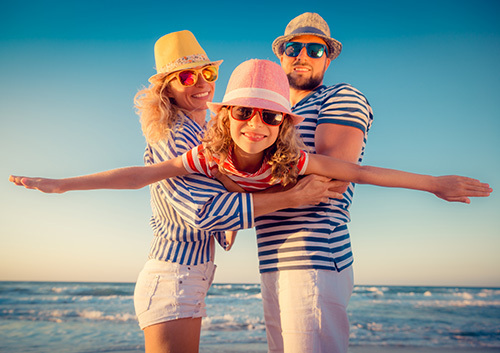 If you have travel insurance, find out if it covers dental treatment and can provide information on qualified local dentists and translation help, if necessary. If you have any questions, Dr. Pamela Clark and our team are happy to do all we can to answer them. While it’s unlikely that problems will arise, we are always available if you need to contact our Pearland, TX office. Bon voyage, and we look forward to hearing about your trip! The life of a toothbrush is naturally a short one. Dr. Pamela Clark and our team recommend replacement every three to four months because the bristles become frayed and worn with daily use. They cannot clean as effectively when the bristles begin to break down, and, depending on your brushing style, may wear out even more rapidly. (Children will probably need to replace toothbrushes at least every three months.) But even in the short time you have your toothbrush, there are ways to keep it ready for healthy brushing. There are several products on the market that promise to sanitize your brush. The verdict is still out on its success, but if you or someone in your home has a compromised immune system, call our Pearland, TX office to see if it might be worth your while to check them out.